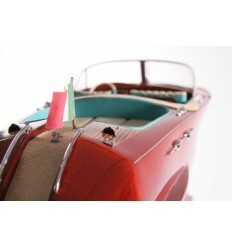 The Ranger is a trully work of art. 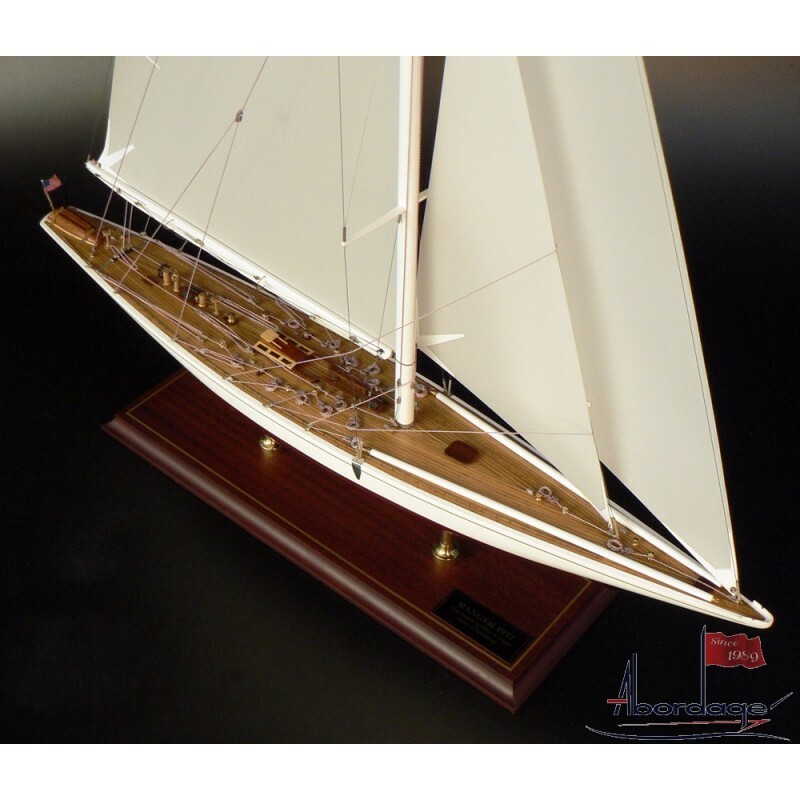 This model of Ranger combines the careful execution of every detail with the high quality of the materials and the craftsmanship. 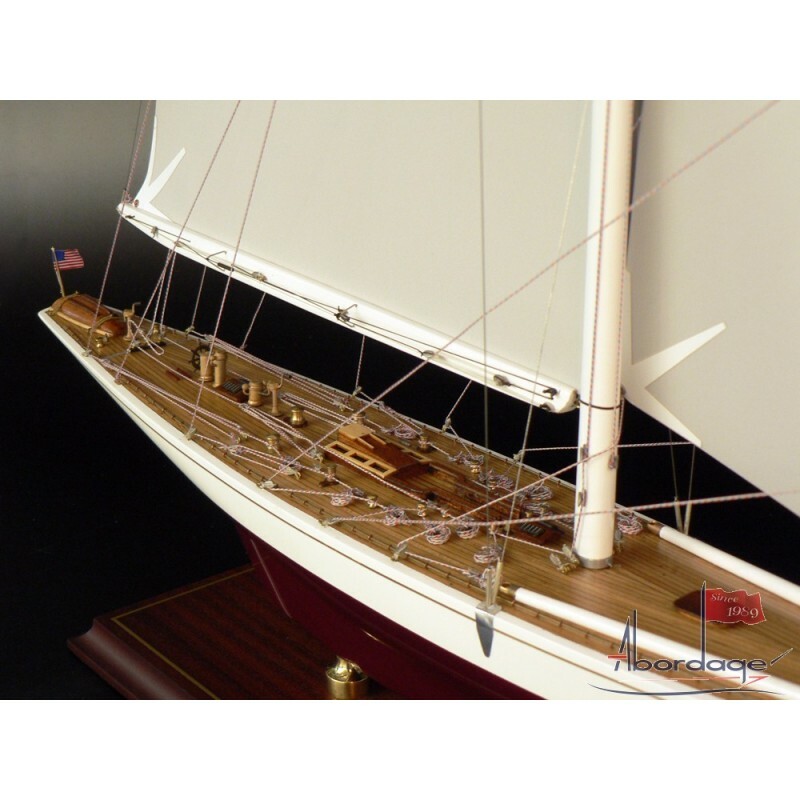 Deck fittings are amazing and very detailed. 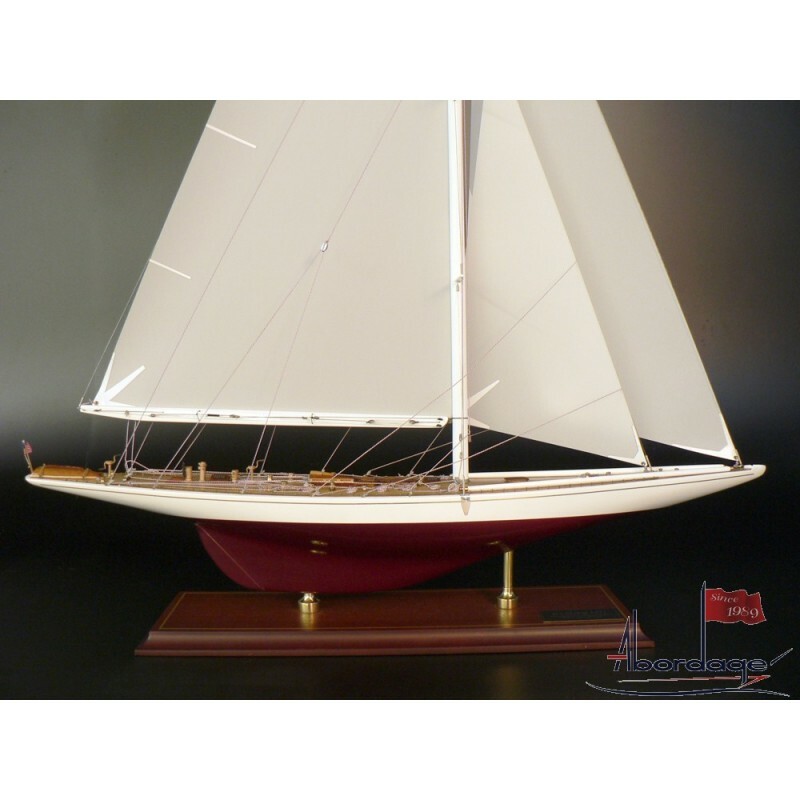 Model has white topsides, gold cove stripe and dark red bottom paint. 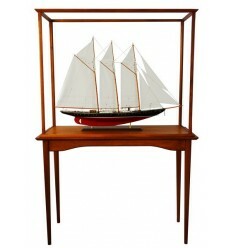 Also comes with varnished bottom upon request. 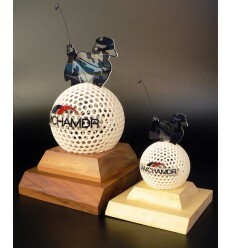 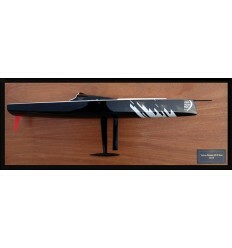 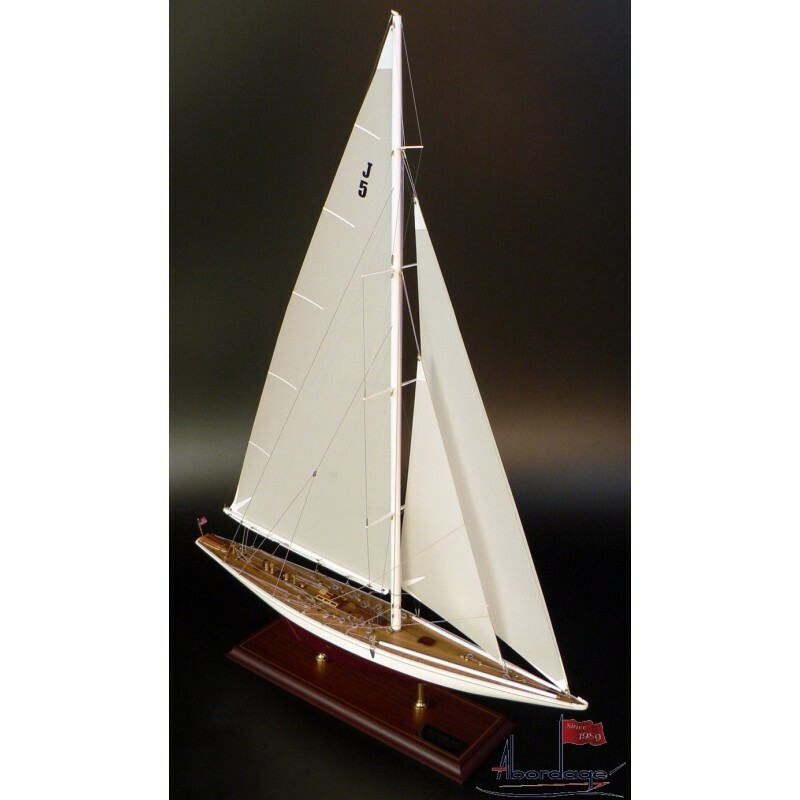 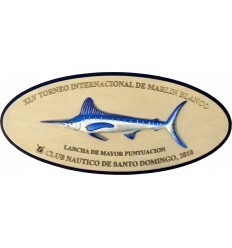 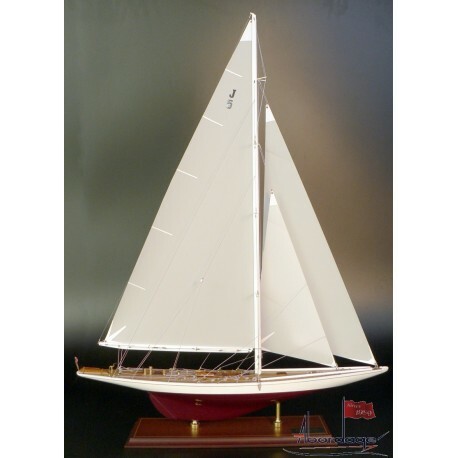 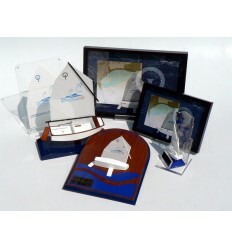 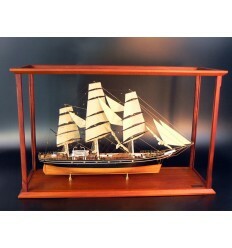 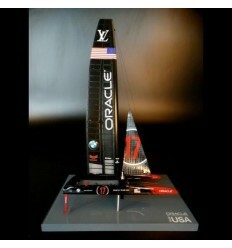 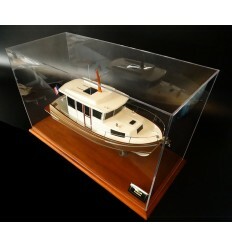 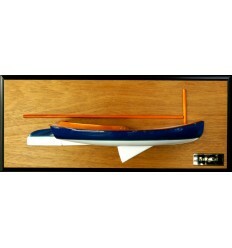 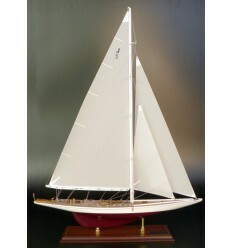 Model comes with or without dacron sails and is ready to display. 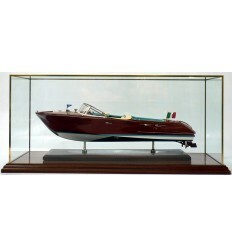 It is mounted with brass pedestals on a high quality hardwood display base with a gold trim.